Fiat Linea proved to be slightly disappointing for me. Pros : Looks and style, comfort and seating, big roomy car. Cons : Poor mileage, bad after sales services and pick-up. Hello! This is Rajesh Makhija from Sagar, Madhya Pradesh. I own a Fiat Linea Petrol Active. I bought the car a year ago. The car was purchased by me behind the blind faith I have on the Fiat Company. My grandfather used to drive the basic model of Fiat car for a long time. the same car was driven by my father for quite a long time and I have many childhood memories attached to it. Also the decent performance of the car throughout and the reliability it gives was the sole reason that when I thought of purchasing a car I went for the same company without giving it a second thought. The car Fiat Linea Petrol Active however was slightly disappointing for me. The car is good when looks and style are concerned. Both the exterior and the interior of the car are beautifully designed. I love the way the interiors of the car look so classy. The exterior body of the car is also very elegantly designed. When we talk about the comfort and space of the car the car is completely satisfactory. When we think of travelling a long distance or with family the car proves to be a joy ride. The seating is very comfortable and there is ample of space inside the car. The legroom is giant and you get enough space to keep your luggage and things. The car disappoints in many areas. The topmost of them is the poor mileage given by the car. The mileage is less than satisfactory. The pick-up and acceleration of the car is also not that good. Also one thing that I was very sad and at the same time disappointed about was that the after sales services given by the company is very poor. One needs to wait for months to get the spare parts of the car. The after sales services are not at all satisfactory. 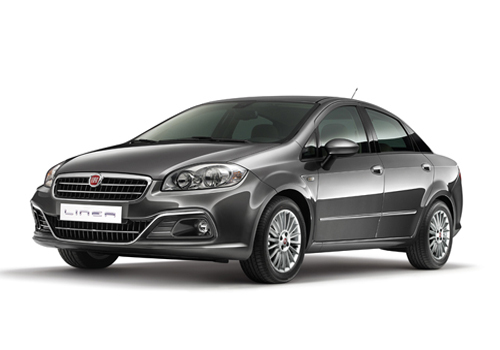 I am a big fan of Fiat Linea. I was about to buy Linea because of its looks and features but heard the same problem that it is not good in its performance and even the service is also not good. Fiat Linea is cool car and I got impress with its first look. But its poor performance is the main problem. Fiat linea is a average sedan. Linea is quite comfortable to drive..